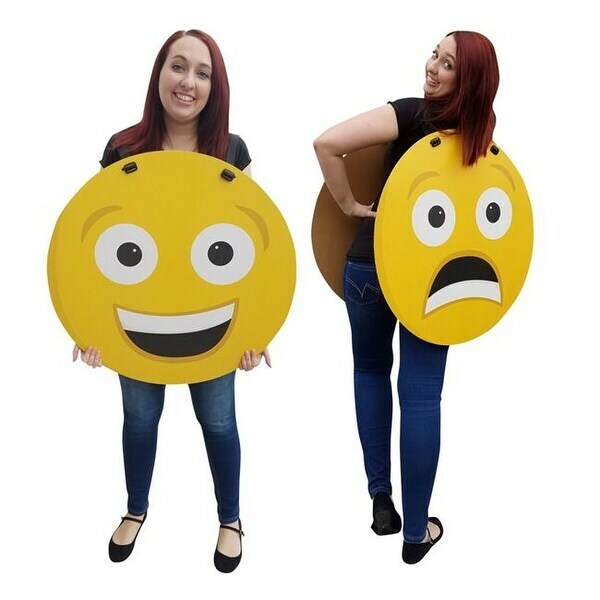 Show everyone how you feel with this Happy/Sad Emoji Costume! Printed on cardboard with an adjustable strap so one size fits all. Simply slip it over your head and pair with your own shirt/pants for an easy one of a kind costume. Size is: 27.5" x 27.5". Size: 27.5 x 27.5 in.